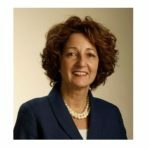 WESTBOROUGH, Massachusetts – Jan. 3, 2019 – Miach Orthopaedics, Inc. a privately held company dedicated to developing bio-engineered surgical implants for connective tissue repair, today announced that medical device industry veteran Martha Shadan has been appointed president and chief executive officer. Miach’s first product under development is the Bridge-Enhanced® ACL Repair (BEAR®) technology, currently being studied in U.S. clinical trials. 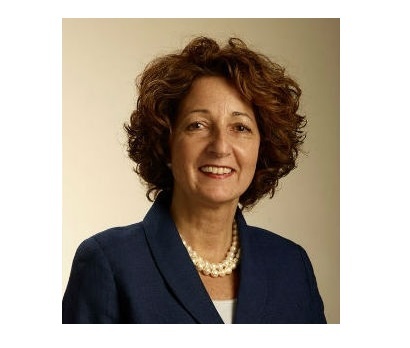 Shadan brings more than 30 years of medical device executive, marketing and commercialization expertise and has been executive chairwoman of the Miach board since September 2018. During most of 2018, Shadan served as global vice president of marketing at Smith & Nephew plc, a role she assumed after the company acquired Rotation Medical, where she was president and CEO. Shadan led the company through FDA approval and commercialization of the Rotation Medical Bioinductive Implant for rotator cuff tears (now known as REGENETEN), as well as the company’s acquisition by Smith & Nephew in December 2017. Shadan has successfully served in a number of senior leadership positions at Zimmer, Covidien, Bristol Myers Squibb Co. and Merck Millipore. She is actively involved with the Advanced Medical Technology Association (AdvaMed), serving on the Board of Directors since 2017 and Accel Board of Directors since 2015; serving as chairwoman of the Accel Board of Directors; and being a founding member of the Leadership Circle for the Women’s Executive Network (WEN). Shadan holds a master of business administration from Northeastern University, master of science in biology from Michigan State University, and bachelor of science in biology from the University of New Hampshire. Every year, approximately 200,000 anterior cruciate ligament (ACL) injuries occur in the U.S. Without treatment, the ACL does not heal, resulting in ACL reconstruction surgery being one of the most common orthopaedic procedures in the U.S. Miach Orthopaedics’ new Bridge-Enhanced® ACL Repair (BEAR®) technology is a proprietary bio-engineered sponge used as a bridging scaffold to stimulate healing of the torn ACL. 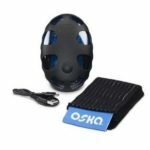 It is hoped this new technology will restore more normal anatomy and function of the knee, and thus enable a higher percentage of patients to get back to activities they enjoy. The BEAR implant is an investigational device and is only available in FDA-approved clinical trials. 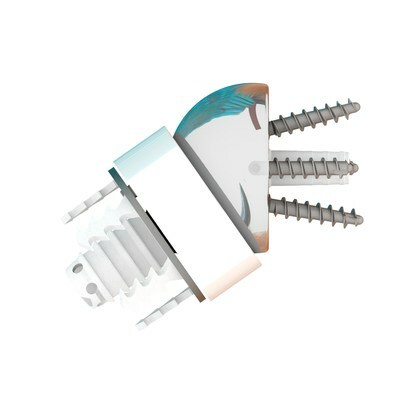 Miach Orthopaedics, Inc. is a privately held company located in Westborough, Massachusetts, near Boston, dedicated to developing bio-engineered surgical implants for connective tissue repair. The company’s initial focus is on the Bridge-Enhanced® ACL Repair (BEAR®) technology as a viable alternative to conventional ACL reconstruction for patients who have sustained an ACL injury. The BEAR technology was pioneered by Martha Murray, M.D., at the Boston Children’s Hospital Department of Orthopaedic Surgery with initial research funding provided by the NFL Players Association, Boston Children’s Hospital and the National Institutes of Health. Miach closed a $22.5 million Series A round in September 2018 led by Amzak Health Investors LLC and DSM Venturing with participation from the NFL Players Association and additional investors. 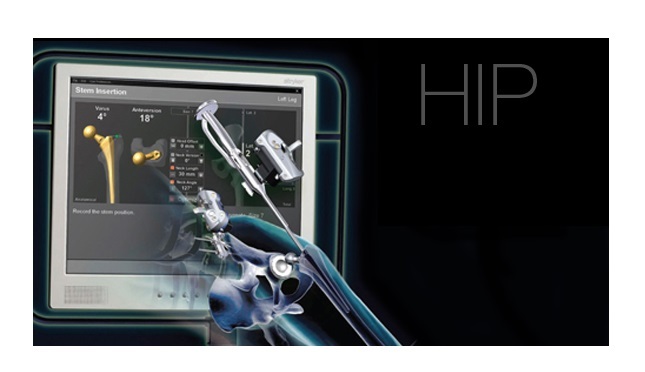 For more information on Miach Orthopaedics and its products, visit www.miachortho.com and follow the company on Twitter and LinkedIn. I’m excited to announce the 3rd Interdisciplinary Conference on Orthopedic Value based Care taking place on January 18-20, 2018 in beautiful Newport Beach, California. We’ve planned this conference to be even better than last 2 years highly-rated event! The mission of this conference is to break the silos that exist in a patient’s orthopaedic journey. This is the only conference that brings in speakers that represent players from across the episode: orthopedic surgeons, nurses, physical therapists, healthcare executives, anesthesiologists, patients, digital health experts and futurists. In the same vein, we expect surgical teams to attend and take this opportunity to learn from each other and work toward better patient outcomes together. This worked well at last year’s conference where 40% of the participants were part of a hospital team. On Friday there are 2 cadaveric workshops that will focus on innovative surgical orthopedic procedures and US based regional anesthesia. Plenty of opportunity to experience new devices and surgical techniques as well the most innovative regional anesthesia techniques. Orthopedic spines are heading to the outpatient area and we need to get ready. The first bootcamp will focus on the concept of fee for value in the ambulatory environment and will include practical approaches aught by all the stakeholders. The second bootcamp will focus on the nuts and bolts of building and maintaining an Orthopaedic ambulatory center and the third book camp will focus on building an enhanced recovery model for the patients who are undergoing ambulatory surgery. To be successful in the world of fee-for-value, one needs to understand all the clinical, financial and operational aspects of this new developing world. This is the ONLY conference that offer three complementary parallel tracks that the various stakeholders can attend! We choose the 4th track, ambulatory, to be held on Friday with no other programing at the same time because of the high interest in this concept. Each day offers four opportunities for networking, including breakfast, lunch and two breaks for exchanging best practices and comparing notes. Plus, a free meet and greet wine networking reception on Saturday night will offer a relaxed atmosphere to share insights from day one. The agenda has 38 world-class, interdisciplinary speakers. Ortho experts include speakers such as Alexander R. Vaccaro, President and Surgeon-in-Chief at Rothman Institute Orthopedics; Joseph Iannotti, Chair at Cleveland Clinic, Kevin Bozic, Chair at Dell School of Medicine and Tony Romeo from the Rothman Institute of New York. The Executive leaders include individuals such as the CMO of Humana, CMO of Optum, COO of Rothman, Vice Chancellor of UC Davis and others. December 20, 2018 / Elizabeth Hofheinz, M.P.H., M.Ed. 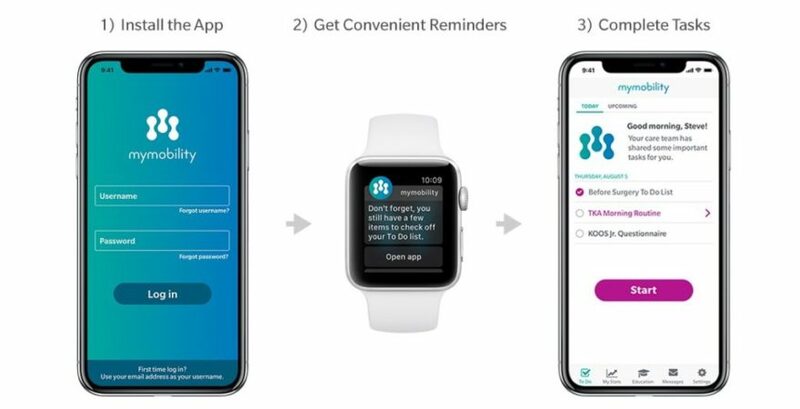 Approximately two months ago, Zimmer Biomet announced the mymobility app which is meant to walk patients through pre- and post-op large joint arthroplasty care. 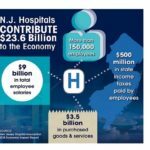 Lots is happening in the healthcare area and it’s clear that the orthopaedic fee-for-value space will continue to evolve in 2019. 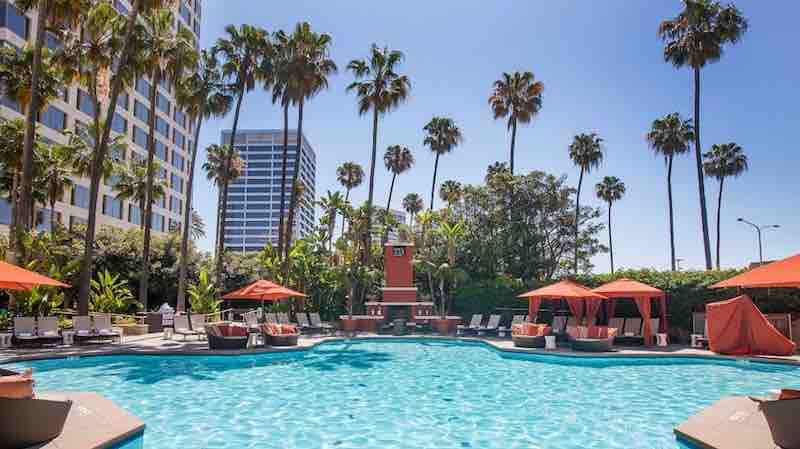 Here are some insights from three speakers the 3rd Interdisciplinary Conference on Orthopedic Value based Care taking place on January 18-20, 2018 in beautiful Newport Beach, California. Can you share your best advice for motivating your teams? Make sure they clearly understand goals and objective of any initiatives and have the opportunity for feedback and buy in. Show that you care about them and their opinions, be humble, celebrate/ recognize/ reward small and large wins, roll up your sleeves. How do you break the silos in your organization? Communicate , Communicate, Communicate. Reward the Mngt team based on team goals/ targets so that it incentives to work “across lines/ departments”. Have each leader “walk in the other’s shoes” so they get a better understanding of the position, responsibilities, problems / issues, work product. Constantly motivate, meet as a leadership team often, teak the team to dinner/ drinks – get to know each other personally. OP Surgery is moving to the outpatient area; how do you get ready for it? Develop OP ASC’s (we now have 8 – and will got up to 12-14 with Northern Jersey and NY). Larger OR’s and PACU bays ; risk assessment all patients for appropriateness of care, visit existing ASC’s that are performing Spine/ Joints on an OP basis. Define specific criteria for cases qualifying for OP ASC. Ensure that the OR’s are big enough. What’s the best thing you’ve read lately? How do you promote innovation within your organization? Promoting innovation is easier to do when you’re the only private ortho-neuro group left in your MSA of 750,000 people, and you’re surrounded by 45 hospital-employed orthopaedists and 11 hospital-employed neurosurgeons – our survival literally depends on it. We first disrupted our market in 2012 when BCBS SC began to cover outpatient joint replacements in our ASC. Soon after, we began adding spine procedures. The average cost-savings is 15k-$40k per total joint replacement based on the average claims paid by BCBS SC to 3 hospital systems in the area per their own Treatment Cost Estimator. This distinction as the lowest cost surgical provider for complex ortho/spine procedures coupled with excellent outcomes has become our identity. Of course, once you have disrupted a market, you must continue to innovate or be disrupted by the competitors who are always nipping at your heels. To continue thriving, the innovation cycle must become part of the organization’s culture. In the past 12 months, how have you adapted to new patient experience expectations in the age of consumerism? What Customers Crave by Nicholas Webb is a great resource for this issue. In the previous 12 months, we have focused on reducing the amount of information we’re collecting at the front desk to enhance the intake process; we have initiated an internalPAINLESS (Patients are in Need. Lead Employees Share Solutions.) campaign; and we are in the process of implementing a scheduling platform that will allow patients to self-schedule via an app by Q4 2018. How Do You Break Silos In Your Organization? Specifically, within orthopedics with the use of more expensive non-opioid medications, we found that pharmacy silos give us severe limitation in the ability to use these medications at a number of hospitals across the country. Our focus has been to try and carve out the use of these medications, so that insurance companies will pay for these medications outside of the typical DRG or payment for an individual surgery. We did this specifically by lobbying congress as well as CMS, both in person in Washington, D.C. as well as through letter writing campaigns. We were fortunate to hear that as of January 1st some of these changes will be implemented going forwards through CMS. friends. I am also on Facebook for my older population of patients as well as Instagram for my younger population of patients. I remain connected with my patients. 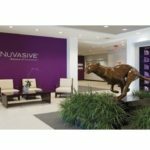 With these avenues, we can express the latest state of the art techniques that we are performing and in engaging patients directly, we have found that we have great success. Surgeries moving to the outpatient area. How do you get ready for it? This has been the natural progression for us in the opioid sparing space. We are now successfully operating on patients near opioid free, which opens up the realm of possibility for outpatient surgery for even more extensive operations such as total hip and knee replacements as well as outpatient spine surgery. The patient expectations as well as patient selection I think are paramount to make sure that you have the best chance of success for patient experience. KIRKLAND, QC, Dec. 12, 2018 /PRNewswire/ – Ortho Regenerative Technologies Inc. (CSE: ORTH) (“Ortho RTi” or the “Corporation”), an emerging Orthopaedic and Sports Medicine technology company, announced that its recently completed study has been chosen by a peer reviewed panel as worthy of a podium presentation at the 2019 ICORS (International Combined meeting of Orthopaedic Research Societies) congress in June. ICORS attracts Orthopaedic surgeons, sports medicine specialists, physicians and research scientists from around the globe and is focused on how new discoveries translate into improved clinical care. The podium presentation will feature the study titled “Freeze-dried chitosan solubilized in platelet-rich plasma in a sheep model of rotator cuff repair”. “Our scientific evidence continues to excel and gather the attention of world experts. This will be our 16th peer-reviewed abstract, poster, manuscript and now podium presentation in the last two years. Further, this is another key publication resulting from work with experts at New York City’s renowned Hospital for Special Surgery,” said Ortho RTi’s Chief Scientific Officer, Dr. Michael Buschmann. Over the last weeks our business and exposure has continued to progress significantly. Last Friday we submitted our formal Pre-Submission package to the FDA seeking guidance after our recent data showed statistically significant results in as little as 3 months. The package included data from all of our studies and highlighted that Ortho-R has shown structural improvements at 6 months and as a second clinical benefit has showed improved speed of healing as evidenced by our 3-month data. Over the same time period our Intellectual Property assets continued to grow with progress on multiple patent files as well as another European patent issuing in Austria, Belgium, Denmark, Finland, France, Germany, Ireland, Italy, Netherlands, Norway, Spain, Sweden, Switzerland & Liechtenstein and the United Kingdom. As part of the evolving scientific validation of our technology, a recent manuscript was selected for publication in an upcoming issue of the Journal of Biomaterials which is expected to be published in the first months of 2019. Finally, our technology transfer to production and scale-up has progressed through a critical milestone with our first finished product lots in the process of being completed. The International Combined Orthopaedic Research Societies (ICORS) serves as an alliance of societies to promote basic, translational, and clinical musculoskeletal research worldwide. The Combined Meeting was launched in 1992 by founding member societies; Orthopaedic Research Society, Canadian Orthopaedic Research Society, European Orthopaedic Research Society, and the Japanese Orthopaedic Association. The meeting has convened every three years since 1992 and rotated to the different country organizations. For 2019 the ICORS annual meeting is being held in Montreal, Quebec, in conjunction with the Canadian Orthopaedic Research Society and the Canadian Orthopaedic Association annual meetings. 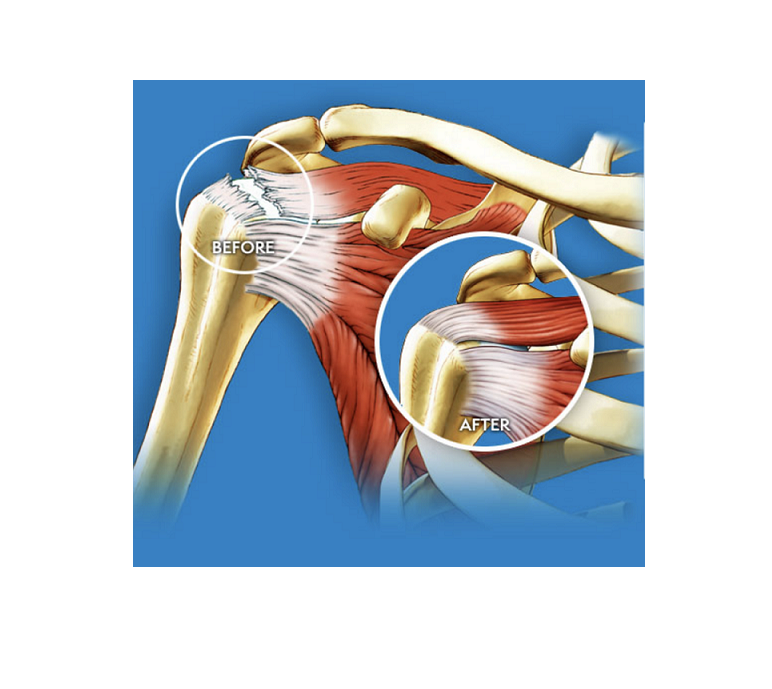 The rotator cuff is the name given to the collection of four tendons that stabilize the shoulder joint. The tendons around the joint can suffer tears as a result of injury to the tendon or as a result of degeneration over time. Repetitive overhead activity is often associated with cuff tears. Symptoms include a dull, aching pain, and patients often suffer secondary symptoms including lack of sleep and weakness in the arms resulting from a lack of exercise. If conservative therapy is not successful, surgery will often be performed. The principal aim of surgical intervention is to reattach the torn tendon to the bone. The standard of care involves the use of suture anchors placed into the bone and the tendon then being held in place with sutures. About Ortho Regenerative Technologies Inc.
Ortho RTi is an emerging Orthopaedic and Sports Medicine technology company dedicated to the development of novel therapeutic soft tissue repair technologies to dramatically improve the success rate of sports medicine surgeries. Our proprietary biopolymer has been specifically designed to increase the healing rates of sports related injuries to ligaments, tendons and cartilage. The polymer can be directly placed into the site of injury by a surgeon during a routine operative procedure without significantly extending the time of the surgery and without further intervention. Further information about Ortho RTi is available on the Company’s website at www.orthorti.com and on SEDAR at www.sedar.com. This news release may contain certain forward-looking statements regarding the Corporation’s expectations for future events. Such expectations are based on certain assumptions that are founded on currently available information. If these assumptions prove incorrect, actual results may differ materially from those contemplated by the forward-looking statements contained in this press release. Factors that could cause actual results to differ include, amongst others, uncertainty as to the final result and other risks. The Corporation disclaims any intention or obligation to publicly update or revise any forward- looking statements, whether as a result of new information, future events or otherwise, other than as required by security laws. SOURCE Ortho Regenerative Technologies Inc.
A new clinical study published in the Journal of Arthroplasty comparing total knee replacement (TKR) surgery with and without use of the traditional thigh tourniquet demonstrated that female patients in the no-tourniquet group experienced significantly less post-operative pain and consumed fewer opioids as compared to female patients in the tourniquet group. In 2017, there were approximately 50,000 opioid drug overdose deaths in the United States. Although opioids are effective at reducing pain after surgery, patients receiving prescription opioids are at risk for developing an opioid use disorder. Therefore, development of surgical protocols that reduce post-operative pain and the need for opioid medication are of critical importance and are highly sought after. Maintaining appropriate penetration and inter-digitation of bone cement is extremely important for ensuring long-term success of TKR, because aseptic implant loosening has been identified as a leading failure mode in the modern TKA procedure. When performing knee arthroplasty without a tourniquet, achieving an optimal “cement technique” can be a challenge because of the additional fluid debris present in the bone and at the implant-interfaces. The CarboJet® CO2 Bone Preparation system employed in this study addresses this challenge by using medical-grade compressed carbon dioxide gas to remove lipids/fatty marrow elements, blood, and saline from the bone surface prior to the application of bone cement. The lead author of this study, R. Michael Meneghini, MD, Associate Professor of Clinical Orthopedic Surgery at Indiana University School of Medicine, chose to employ the CarboJet system to manage these blood and lipid debris and optimize cement penetration for his patients. With nearly 800,000 procedures performed in the United States each year, knee replacement surgery is one of the most widely accepted and effective treatments for relieving the pain and disability associated with degenerative osteoarthritis. Because of the sheer number of knee replacements being performed, approaches that can reduce opioid consumption as demonstrated in this study are noteworthy. Kinamed is a leading developer, manufacturer, and distributor of innovative specialty orthopedic, neurosurgical, and cardiothoracic medical devices. 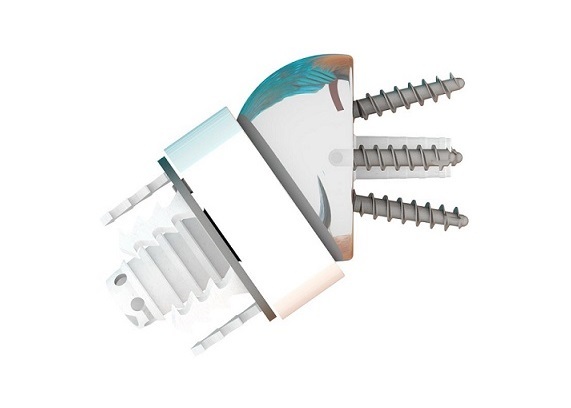 In addition to the CarboJet system, Kinamed’s other orthopedic products include: the SuperCable® Iso-Elastic Polymer Cerclage system: a revolutionary cabling system that eliminates problems associated with traditional metal cables; and the KineMatch® Patello-Femoral Replacement: a patient–specific (custom) unicompartmental joint replacement implant. Since the company’s founding, Kinamed has manufactured and sold over 2.5 million surgical implants. For additional information on Kinamed, Inc., please visit http://www.Kinamed.com. Dr. Meneghini is a consultant for Kinamed. FX Shoulder USA, Inc. will begin in December 2018 the FDA approved Investigational Device Exemption (IDE) clinical study of the Easytech Reversed stemless, a shoulder prosthesis, with its first implantation scheduled for December. Easytech Reversed Stemless is an innovative shoulder arthroplasty implant that will be under clinical study with (9) sites and (12) surgeons across the U.S. participating. Building on the current success in France (home of FX Shoulder USA’sparent company, FX Solutions), where over 800 Easytech Stemless Reversed prostheses have been successfully implanted, FX Shoulder USA is slated to enroll patients at two (2) investigational sites in December and continue enrollment with additional sites beginning in January 2019. “The Easytech Reversed may be exactly what the U.S. market is in need of, and a reversed stemless prosthesis could potentially be the future of shoulder arthroplasty,” said Baptiste Martin, CEO of FX Shoulder USA. “We are excited to begin our clinical study and enthusiastic to see the results with each successive case throughout. There is a lot of excitement among the surgeon investigators for Easytech Reversed,” he continued. In Europe, as per the article in Med Device Online dated April 11, 2018, stemless implants are projected to surpass stemmed implants by 2025. Founded in 2011, FX Solutions has developed a large, unique and innovative range of prosthetic shoulder products, which include the Easytech Reversed Stemless. FX Solutions is now the second largest player in the French market, with more than 3,000 prostheses sold in 2018. FX Shoulder USA, based in Dallas, Texas, is the direct provider of FX Solutions shoulder replacement devices in the U.S. FX Shoulder USA was founded in January 2018 and focuses exclusively on shoulder arthroplasty with a growing distribution network. Statements in this press release, other than statements of historical fact, are forward-looking statements, are based on our current plans and expectations and are subject to risks and uncertainties that might cause actual results to differ materially from those such statements express or imply. The business and operations of the company are subject to substantial risks which increase the uncertainty inherent in forward-looking statements. These risks and uncertainties include, but are not limited to, our ability to generate sufficient revenue to fund our commercial operations and development programs; and risks related to the development of Stemless Reversed shoulder prostheses, including regulatory approvals, mandates, oversight and other requirements. In this press release, forward looking statements include those concerning the development of the Stemless Reversed shoulder prosthesis, its safety and efficacy profile, its potential to benefit patients and our ability to make it available to those patients. We disclaim any intention or duty to update forward-looking statements made in this press release. DUBLIN–(BUSINESS WIRE)–The “Global Hip & Knee Reconstruction Devices Market Analysis & Trends – Industry Forecast to 2027” report has been added to ResearchAndMarkets.com’s offering. The Global Hip & Knee Reconstruction Devices Market is poised to grow strong during the forecast period 2017 to 2027. Some of the prominent trends that the market is witnessing include rising gap between hospital costs and reimbursements, computer-assisted total hip replacement surgery is one of the hottest revolutions and latest technological developments of hip & knee reconstruction devices. The market data is gathered from extensive primary interviews and secondary research. The market size is calculated based on the revenue generated through sales from all the given segments and sub segments in the research scope. The market sizing analysis includes both top-down and bottom-up approaches for data validation and accuracy measures. 7.8 Beijing Chunlizhengda Medical Instruments Co. Ltd.
LimaCorporate is pleased to announce the launch of the SMR TT Hybrid Glenoid, the latest addition to the SMR Shoulder System. The SMR Shoulder System is a total shoulder replacement designed to provide surgeons a wide range of options to address the different patients’ pathologies. There have been over 150,000 implants performed worldwide. SMR TT Hybrid Glenoid is the first glenoid component with hybrid fixation convertible from anatomic to reverse. Being part of the SMR Shoulder System, SMR TT Hybrid Glenoid has been designed to provide an innovative solution for glenoid replacement allowing for proper soft tissues management thanks to an optimal range of sizes, mismatch options, and a reliable fixation supported by a combination of polyethylene and Trabecular Titanium, LimaCorporate’s proprietary 3D printed technology. After a limited release phase, the SMR TT Hybrid Glenoid has been launched in the USA and New Zealand. SMR TT Hybrid Glenoid has also received the CE mark and will be officially launched next year in February during the Paris Shoulder Course. This important accomplishment has been reached thanks to the contribution of a panel of experienced shoulder surgeons coming from all over the world. This year, the SMR Shoulder System has been awarded by the Orthopaedic Data Evaluation Panel (ODEP) in the UK, two ratings (ODEP ratings can be found on odep.org.uk) a 10A rating for the SMR Reverse with Uncemented Fixation (Metal Glenosphere / Polyethylene Liner Combination), making it the only Reverse with a 10A rating available on the market and a 5A ODEP Rating – SMR Reverse HP with Uncemented Fixation (Polyethylene Glenosphere / Metal Liner Combination). “We are very excited about the introduction of this innovative device on the market, which allows LimaCorporate to further complete the Shoulder portfolio, keeping its outstanding clinical heritage and approaching a new fixation philosophy,” said Luigi Ferrari, CEO of LimaCorporate. LimaCorporate is a global medical device company providing reconstructive and custom-made Orthopaedic solutions to surgeons who face the challenges of improving the quality of life of their patients. 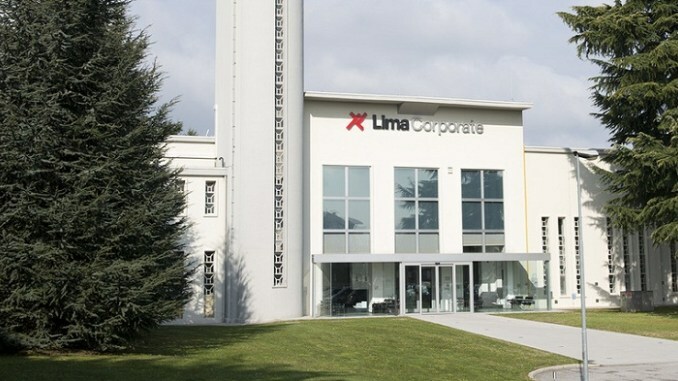 Based in Italy, LimaCorporate is committed to the development of innovative products and procedures to enable surgeons to select ideal solution for every individual patient. 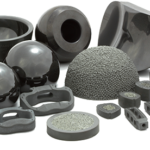 LimaCorporate’s product range includes large joint revision and primary implants and complete extremities solutions including fixation.